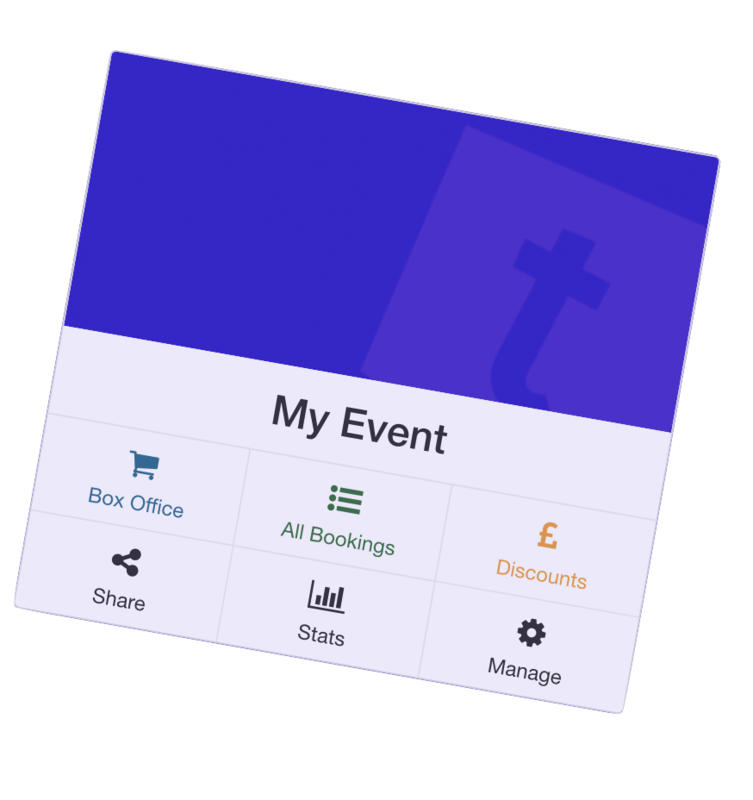 Sell tickets to your events for free. We help local venues, societies and schools. Normally, ticketing systems are either specialist and expensive, or basic and constrained. When we couldn't back a choice for societies, schools or local venues, we made our own. You take control over general appearance, ticket publicity, refund policy, and customer data, with our cloud architecture enabling access from any device with industry standard security. Controls and settings for your account and events are in one easy to find place, the Manage tab. Even the booking flows are speedy, with auto-suggested seats based on customer preference. We have a common sense approach to financing. You receive funds as each ticket is sold, rather than after the event happens. And you don't need to buy expensive ticket stock, printers or scanners. The Romans used the word tesserae to describe their tickets, rounded or four-sided tokens. We proudly present the iteration for today's digital age. Tessera tickets are A4. Information for your front of house is found in one place at the very top, leaving a generous area underneath for you to place guidance for guests. You can specify accessibility details too, so that people with disabilities enjoy a smoother event experience. We made it simple to download our tickets to smartphones as PDFs, where they're far less likely to get lost. On the door, connect as many smartphones as you like to Tessera and scan tickets with the cameras. You'll see at a glance how many guests are still to arrive. Tickets are sent by email seconds after payment - no more manual processing or postage. Tickets can be stored and used electronically but, when printed, our default design is deliberately sparing on ink. We even make sure tickets get sent from certified carbon neutral servers. Tessera's core functionality is optimised for simplicity and speed. Included plugins expand the feature set to suit your needs, and can be toggled on or off in seconds. Track your customers, and view their booking history while keeping their data secure. Export a list of customers for integration with marketing. Set custom price tiers for early bird customers and custom ticket types. Each tier can have different prices for concessions and students. Download or share an accurate spreadsheet of profits made through online ticketing, with each occurrence of an event split for analytics. A versatile and powerful discount engine for code-based marketing campaigns, or automatic offers for groups and high-spend customers. with access to all orders, customers, venues and events. We aim to be as upfront and competitive as possible. Forget high prices and nasty surprises. We don't charge setup or ongoing fees, or for free events. You can ask your customers to pay the booking fee. All of these features allowed us to expand our audience base and increase our pre-show ticket sales. I would highly recommend Tessera. Brilliantly simple to set up, any issues we had were handled capably and professionally. Tessera is reliable, responsive and slick. It takes just minutes to get started. Let us take your details and we'll set up your account. Stypro Ltd is registered in the UK (09257238).